Watch anime online, streaming anime episodes you are watching One Piece Episode 329 English subbed online for free. Anime guide, One Piece Episode 329 English sub The Assassins Attack! The Great Battle Above the Ice Begins Using the Shark Submarine, Nami and Franky find out that penguins are moving the icebergs. Afterwards, they are attacked by Hockera. 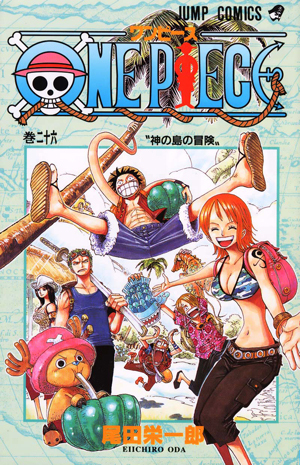 Usopp and Sanji are knocked off the Sunny by an iceberg, and encounter Sarco and Albelle.